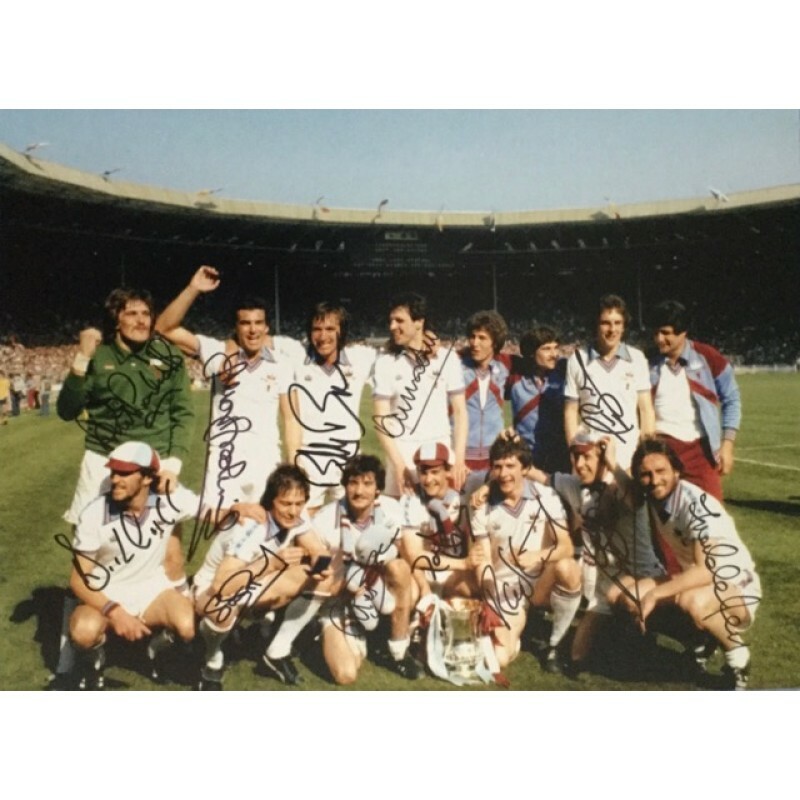 A signed photo of the West Ham 1980 team signed by 12 including all the starting eleven. 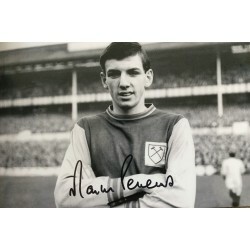 West Ham beat Arsenal 1-0 thanks to a Trevor Brooking header. 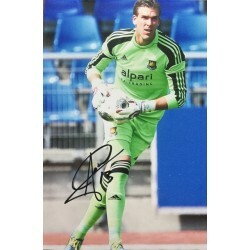 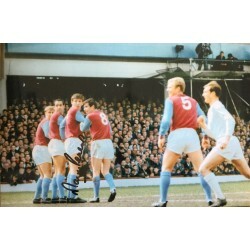 A signed photo of this West Ham hero in club colours. 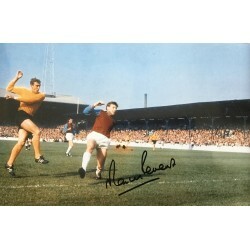 He played and scored in the 1966 World Cup Fin..
A signed photo of this West Ham legend . 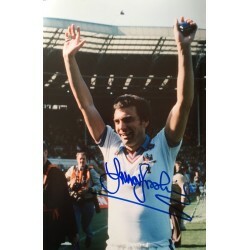 Sir Trevor scored the winning goal in the 1980 FA Cup Final..